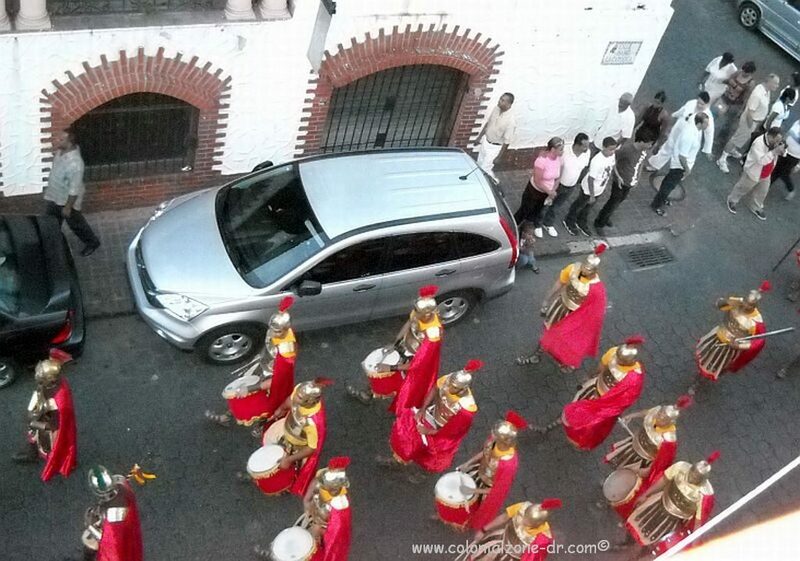 The Semana Santa in the Colonial Zone procession band dressed as Roman Soldiers. Be aware! 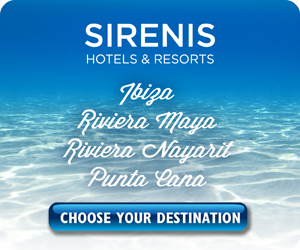 If you plan on visiting Dominican Republic during this time, especially heading to beach and recreation areas I highly suggest that you make your reservations in hotels far in advance. 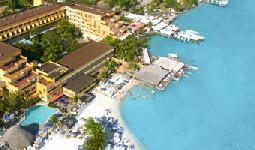 Most hotels are full and it will be very difficult to find a bed to lay your weary head if you procrastinate. 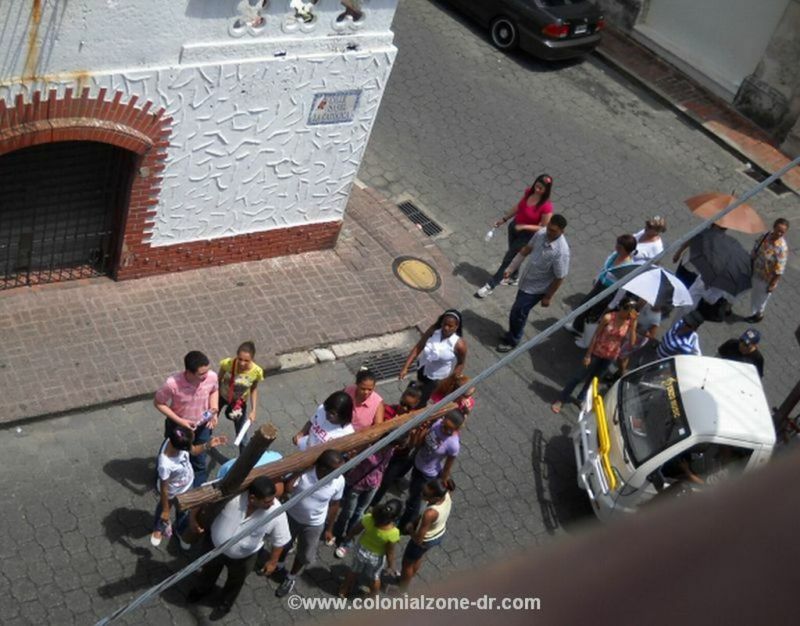 Semana Santa Procession down Calle Isabel la Católica, Colonial Zone. There are Police, Military, Red Cross and many volunteers along the roads and at all the main intersections making sure people are obeying the traffic laws. 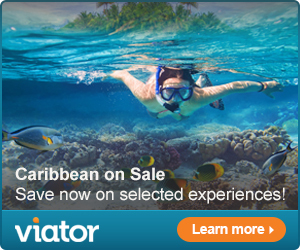 They are also stationed on the beaches and at the popular rivers to ensure that people have fun and are safe. The Dominican Civil Defense will be stationed throughout the country with the participation of six thousand workers and more than eight thousand volunteers in over 1400 strategic locations. They will be watching beaches, rivers and highways to make sure the big weekend runs smoothly. 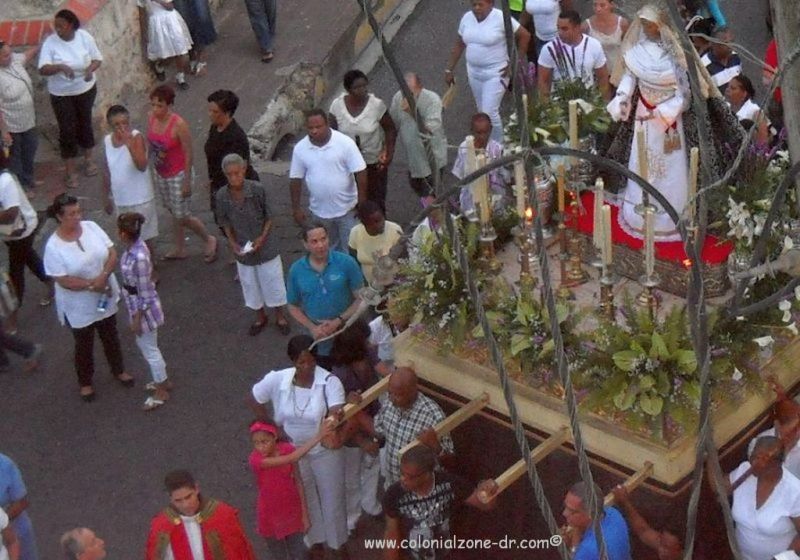 The statue of the Virgin Mary /Altagracia in the Semana Santa procession in Ciudad Colonial. 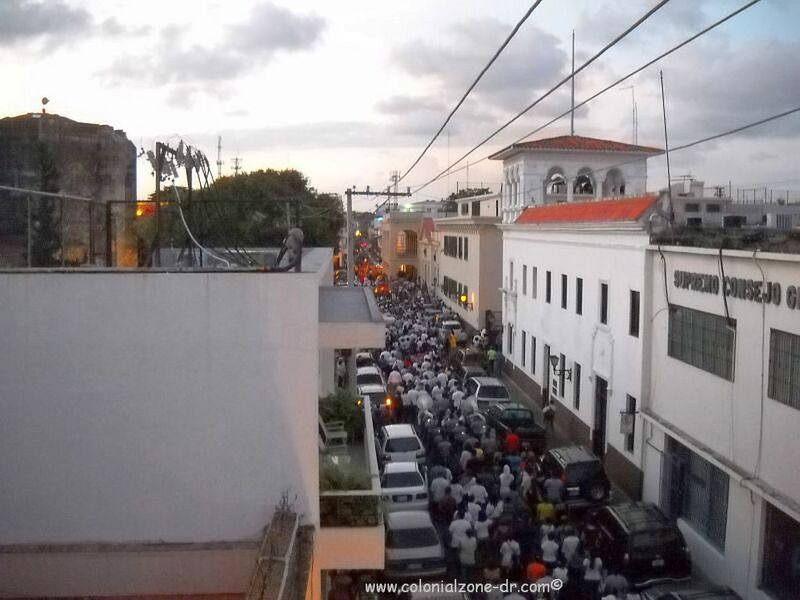 The church of Las Mercedes (on Calle Mercedes and Jose Reyes in Zona Colonial) is the place to be in Santo Domingo for the religious ceremony. 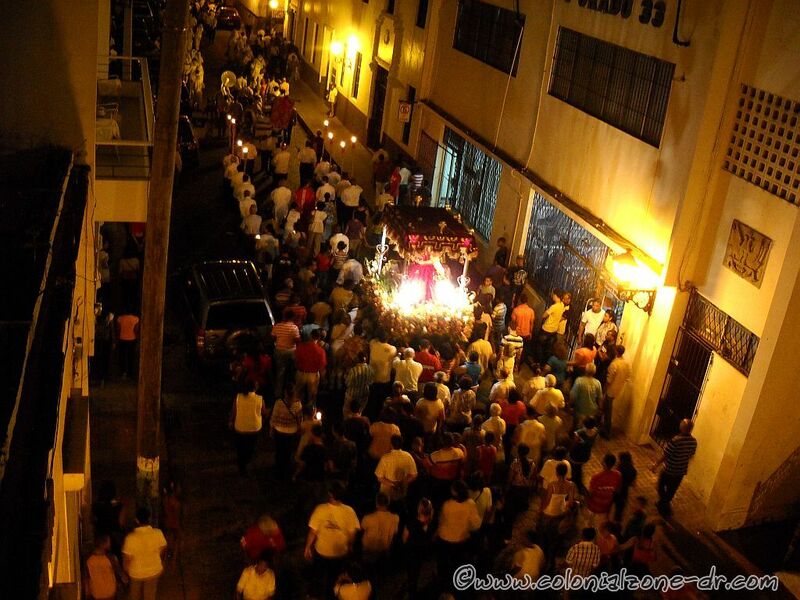 After the service, around 5PM, there is a procession to the first cathedral in the Americas, Cathedral Santa Maria. Here is held a special Mass called Eucharist. 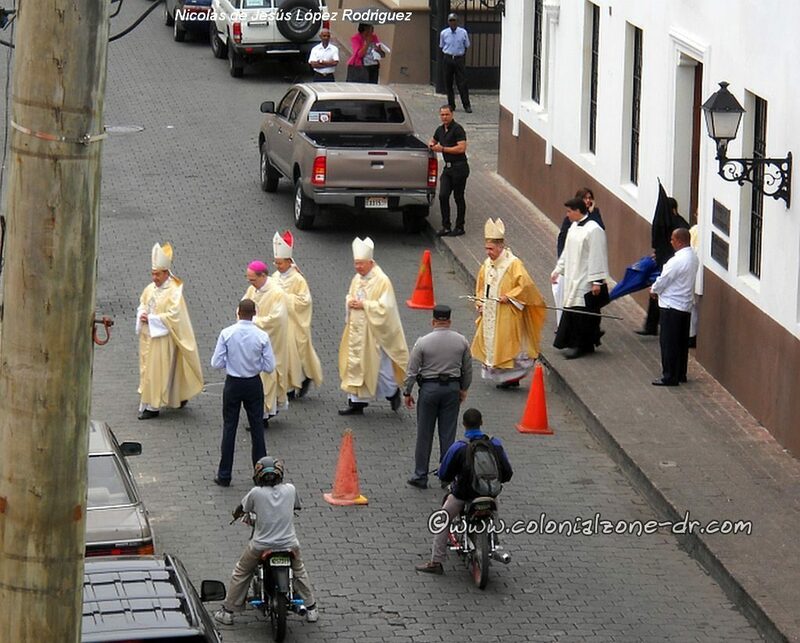 Cardinal Nicolas de Jesús López Rodriguez going to Thursday Mass. 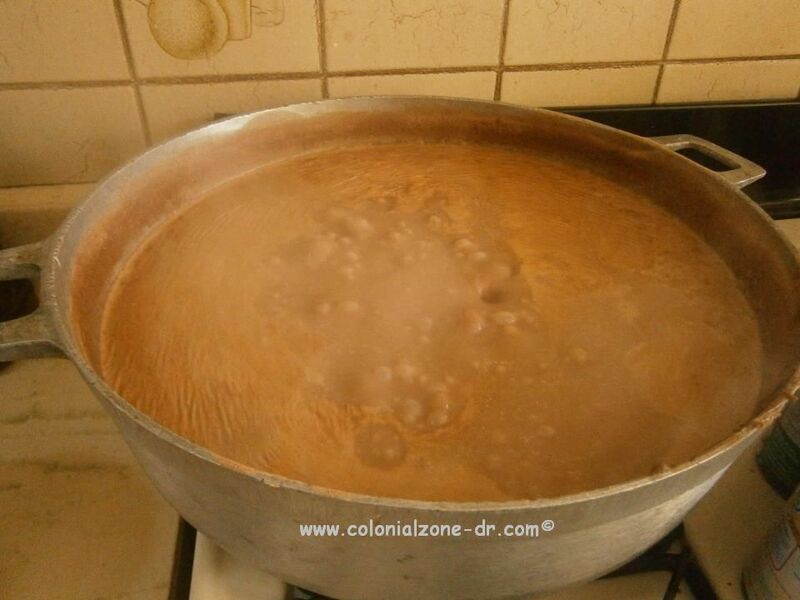 A big pot of habichuelas con dulce, a traditional Semana Santa sweet. During the holiday weekend there are many restrictions according to Resolution No. 96/2012. *Jet Skis and Wave Runners, Motorized Boats, Horses, Motorbikes, and Motorized Vehicles are NOT permitted on the beaches in the entire country from Thursday to Sunday. *Heavy equipment vehicles are prohibited to be on highways from 6AM Thursday until 6AM Monday. *There is usually a curfew of 5:45PM for swimmers to get out of the water daily on busy public beaches. *Many places have a ban on loud music for the weekend. Inside businesses it is OK but the noise is not permitted to weft outside. This is not enforced like it used to be but it still happens in many locations. It is especially quiet on Good Friday around noon until midnight. *Many beach areas have a “No Glass” rule in force. You cannot enter the beach area with any alcoholic beverage in glass bottles. *Many of the more dangerous beaches and rivers are closed (some closed beaches include San Soucí, Manresa, Güibia, the coastline of Avenidas España and Las Américas, the beach of San Andrés, banks of the Ozama River, Río Isabela Norte, la Poza in Hato Nuevo, San Rafael, Los Patos, River Yaque del Norte. Also the Damns of Bao, Taveras, El Pinalito, López Angostura, El Papayo, Sabana Yegua, de Yuboa and de Chacuey) at this time to ensure the publics safety. Also water motor sports are prohibited close to beach areas during the holiday. There is usually a complete listing of the closed areas on the Civil Defense web site http://www.defensacivil.gov.do. 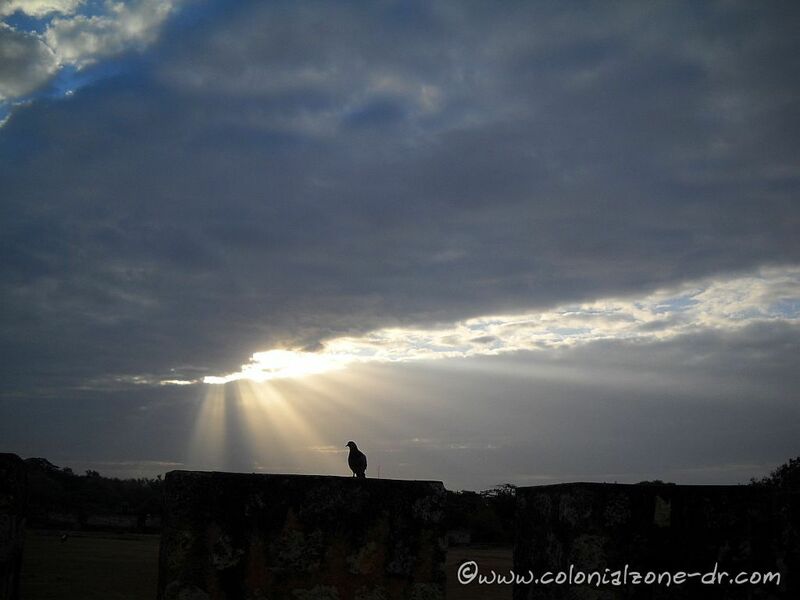 I will also post any special events and happenings in the area on the Colonial Zone News Blog.